Inside, learn how to show off your minis in style, with just a few bucks and a your phone's camera. It's easier than you think! 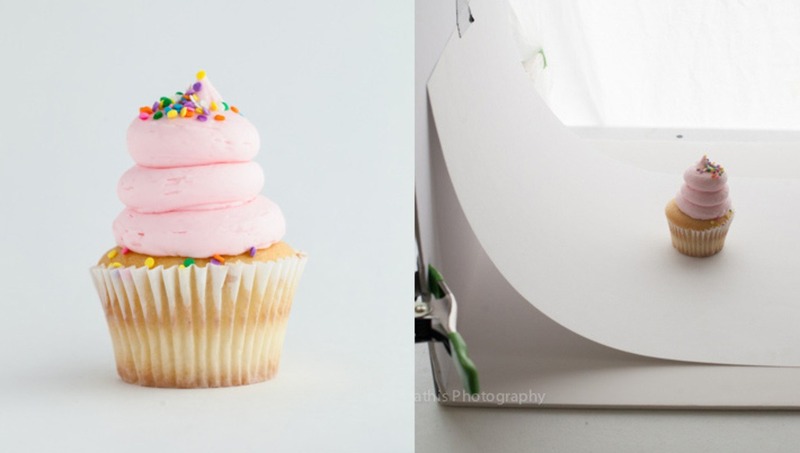 Have you ever looked at a friend’s photo of their miniature (or even a photo of your own) and struggled to see past the awkward lighting and motion blur? 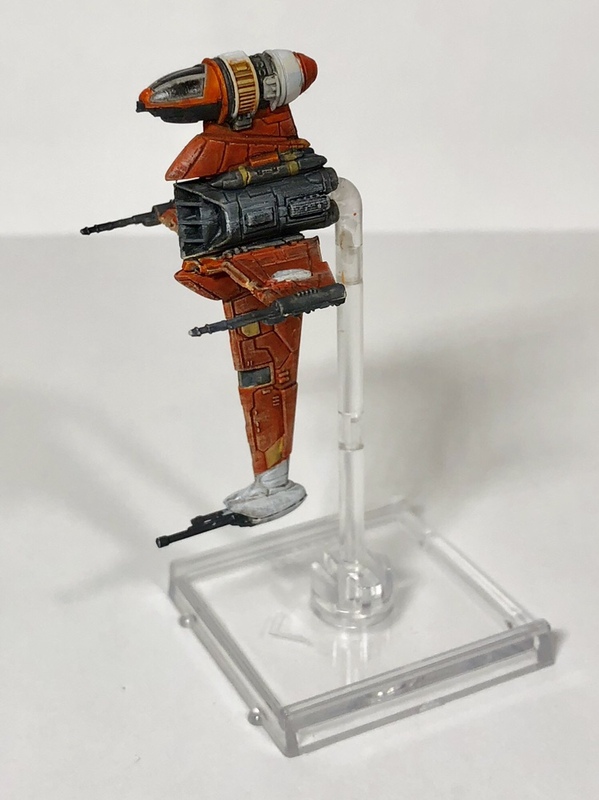 When you want to show off your hard work for the world to see, it can be tough to actually sit down and photograph your miniatures in such a way that makes them look as good as you see them in person. And I know, because I had never seriously photographed a mini before creating this blog. 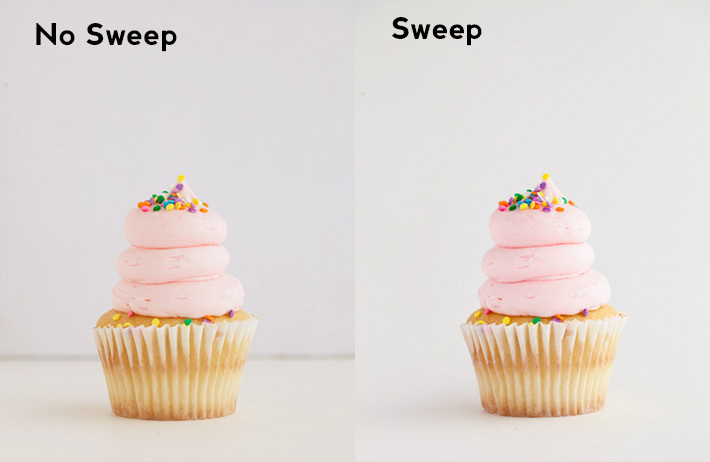 Fortunately, you only need a couple of things to make your photos look professional (or, at least, more shareable). Hopefully you’ve already purchased a lamp for your miniature painting station – the difference between painting with one and without one is astounding, and if you haven’t pulled the trigger on one of these yet, you’ll thank yourself. When working at this level (read: amateur), the difference is minor but still noticeable. One heavier shadow versus two lighter shadows and a better overall glow. If you’re not looking to invest in much right now, you should feel free to only grab one lamp. In that case, I’d suggest the first of the two I linked above as it gives you only one color but it’s the perfect tone for photographing and it lets you cycle through three different intensity settings. Two pieces of white printer paper. One laid flat, one taped to a wall directly behind the flat paper. 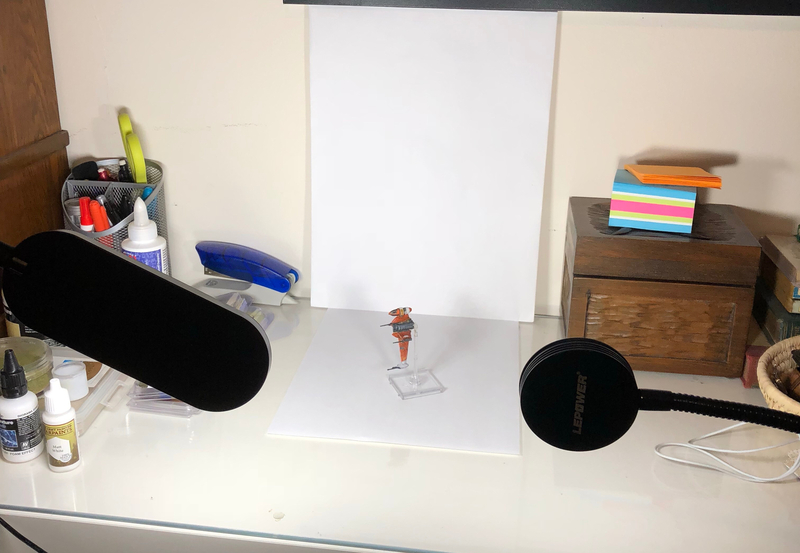 I’ve personally found that placing my miniature about halfway back on the sheet of paper, with my camera at head level and the lamps a few inches off to the side and a few inches above the mini, works best. But maybe you’ll find something different that you like more! Pictured: my janky lighting set-up on my tiny desk, and the final B-Wing product. Also pictured: a compelling before and after. And there you have it: just a few simple steps to make your miniature photos infinitely more shareable! Just remember to be open to feedback have a thick skin if you’re going to share your minis far and wide: everyone’s a critic. You can also tape a sheet of paper down so that it curves in the corner, to get rid of that hard edge in the background.